There are several imaginary lines such as the equator, prime meridian and other longitudes and latitudes which cuts across vertically and horizontally through the earth. I set out on this journey to catch a glimpse of one of the most significant of these lines, namely the prime meridian or the 0°0’0” longitude. 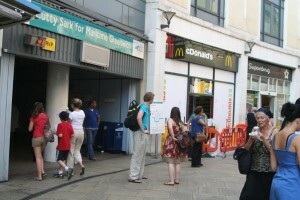 From Peterborough, a small countryside city in England where we lived in a rented apartment at that time, I boarded the National Express Train and reached the main London Kings Cross Station. From there I changed over to the Northern Line on the famous London Underground-referred to fondly as the Tube. The Tube crisscrosses beneath the bustling city and serves as the Transport Nervous system of this great city. At London Bridge, I changed for Canary Wharf Station on the Jubilee Line from where I finally changed to the over ground DLR line. All the way till I reached ‘Cutty Sark’ my final destination on this route, I kept racking my brains trying to dust out whatever little facts and details I could recollect from the pages of my junior school geography textbooks. 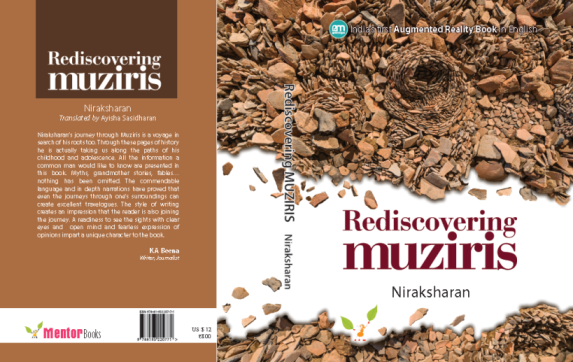 In this context I am compelled to borrow the words of the famous Traveler, Santhosh George Kulangara who said that it is futile to travel without an understanding of the history of a place. I would modify his words and say that in this journey what mattered was not an understanding of history but that of geography and astronomical sciences. I only knew that I had to walk to my destination once I disembark at Cutty Sark but had no clue about the way or directions. On stepping out of the station, towards the left side I could see the River Thames flowing through the heart of the city, in a splendid display proclaiming its grandeur and legacy. Numerous boats, both small and big were gliding through the river. Most of the boats transported both local and foreign tourists on sightseeing tours. 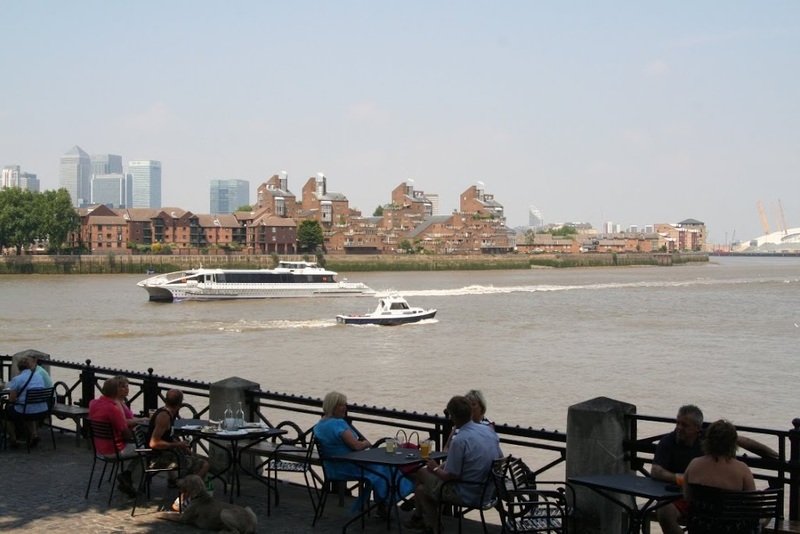 A river cruise on the Thames is a must-see experience for any tourist who visits London. 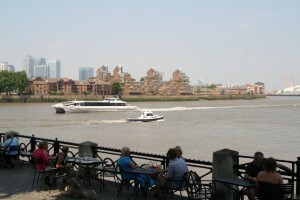 There are some boat cruises which operate from Cutty Sark too. I stood there for some time amidst the crowd who were waiting their turn to board the boats, enjoying the cool breeze and the beautiful sights of the Thames. In some distance across the river, I could see the millennium dome and the Greenwich Power Station. The ancient dome on the side of the river easily catches the attention of anyone. 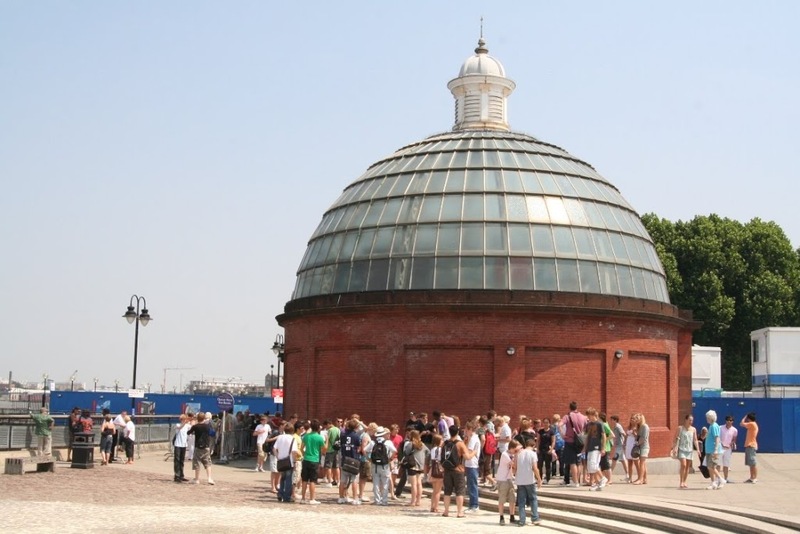 The dome marks the entrance to the underwater Greenwich Foot Tunnel which would take you across to the opposite bank of the Thames. When I saw this well constructed and maintained underground tunnel built in 1902 at a time when technology was not so advanced and having survived over a 100 years, I was suddenly reminded of the pathetic plight of our very own Mullaperiyar Dam in Kerala. It was only towards the end of the journey that I realized why not knowing my way around was actually a blessing in disguise. Had I known the directions accurately, I may have reached my destination directly. But my ignorance of the right track helped pave my way through certain quaint streets which breathed of forgotten history, in and out of some magnificent age old monuments and buildings making my experience an unforgettable one. 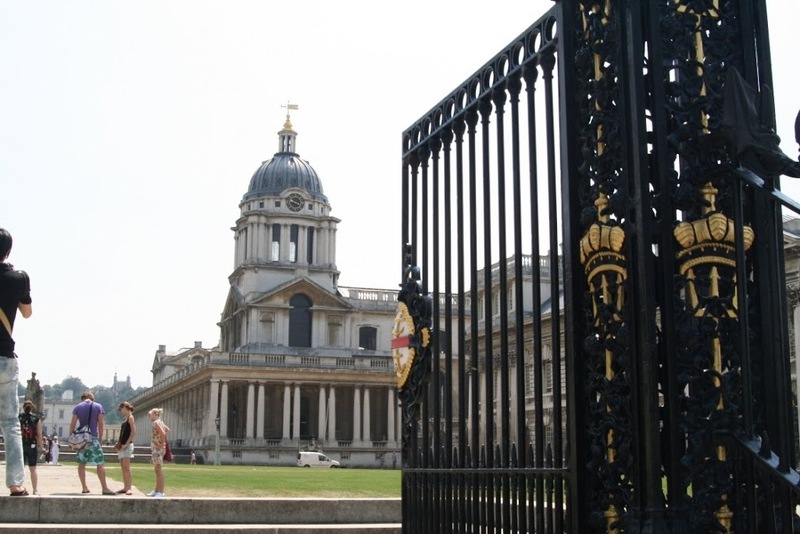 Walking ahead along the banks of the Thames, one would reach a vast courtyard housing a complex of Barrack style structures including the Trinity College of Music and the Old Naval College. 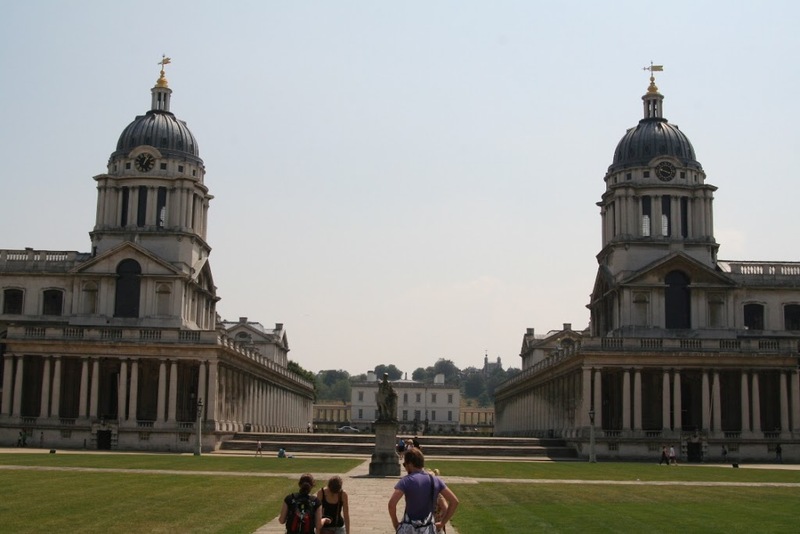 It is the Royal Greenwich Hospital which was built as per the wishes of Queen Mary, the 2nd for wounded soldiers and officers of war which was later converted into the Old Naval College. 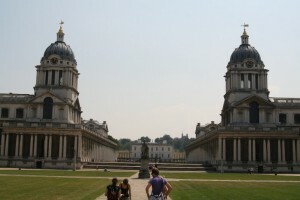 Today those buildings function as the Greenwich University and Trinity College of Music. I proceeded in through the huge walls, enjoying the sweet music of instruments emanating from the music college carried by a gust of gentle wind. On one of the pathways, I saw a plaque erected in memory of the Tudor palace built by Henry the 7th. It was here that Henry the 8th, his sisters Queen Mary and Queen Elizabeth were born. The Royal hospital was built by demolishing the Tudor palace known as the ‘Palace of Placentia’. The remains of the Tudor palace build in 1427 were unearthed as a result of recent archeological excavations in 2005. When one reminiscence that this was a royal courtyard on which at one time walked many kings and princes, you feel as though you have been transported back in time into a bygone historical era. On one side of the hospital building is a painted prayer hall and chapel. The altar and the roof of the chapel were adorned with paintings that announced a royal splendor. 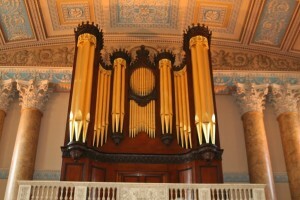 A gleaming golden pipe organ inside the chapel is a major attraction. 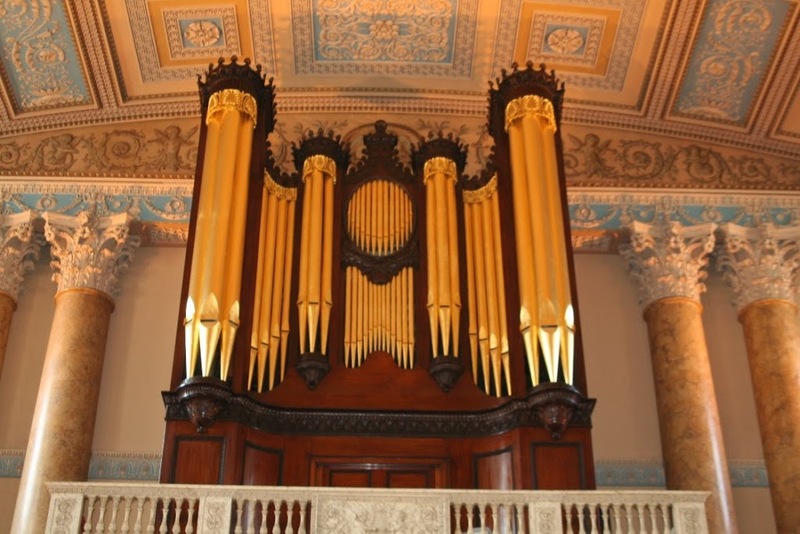 Such pipe organs are not really a rare sight in the ancient churches of England. 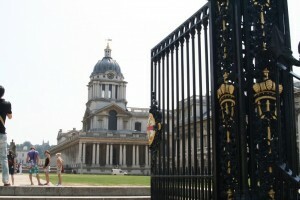 Though I managed to see the sights inside the Old Naval College, I hadn’t still reached my main destination. Coming out through the east gate of the campus and moving with the flow, I joined in the direction in which majority of the crowd was going. The prime meridian is passing through somewhere there. 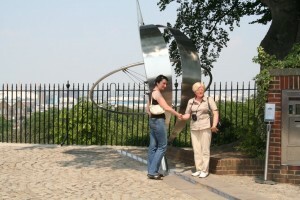 But since it is an imaginary line, to ‘see’ it, one must reach the Greenwich Observatory Tower. A map displayed by the roadside came of aid. I was standing at one corner of the Greenwich Park. 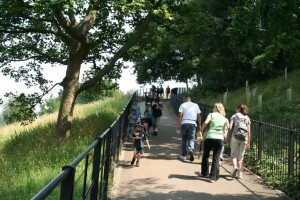 You could reach the Observatory Tower by crossing over the park. But there were other spectacle to relish stretching in a line before you can reach there. 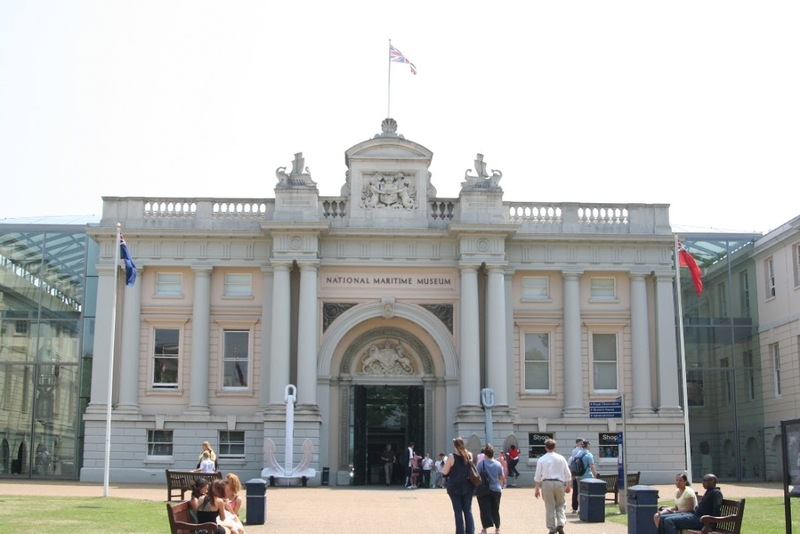 Amongst them were the Queens House, the Museum Gallery and the National Maritime Museum which narrated stories of the British Maritime feats and encounters of the 16th to 20th centuries, studies of the tides and waves and their impact on daily lives. 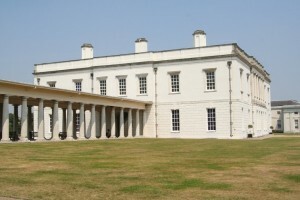 The Queens House constructed in 1616 is one of earliest classical buildings of Britain. 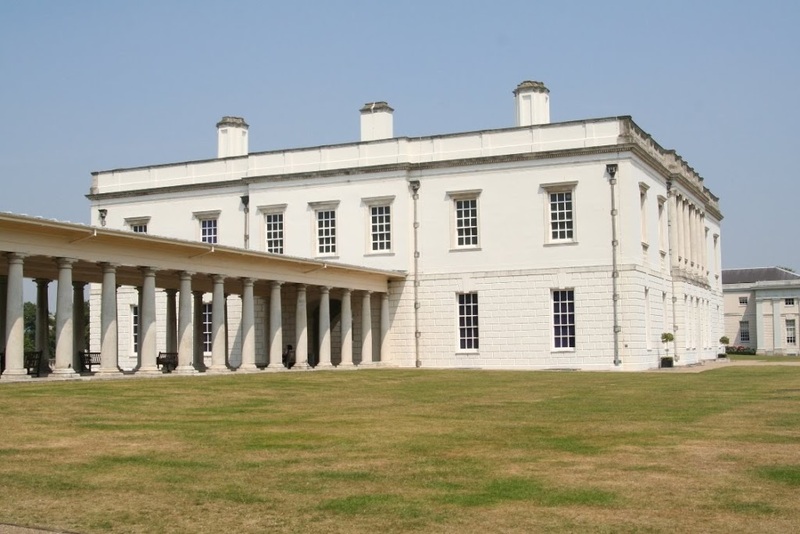 In 1805, George, the 3rd consecrated the Queens House for the charitable activities of the Royal Navy Asylum. 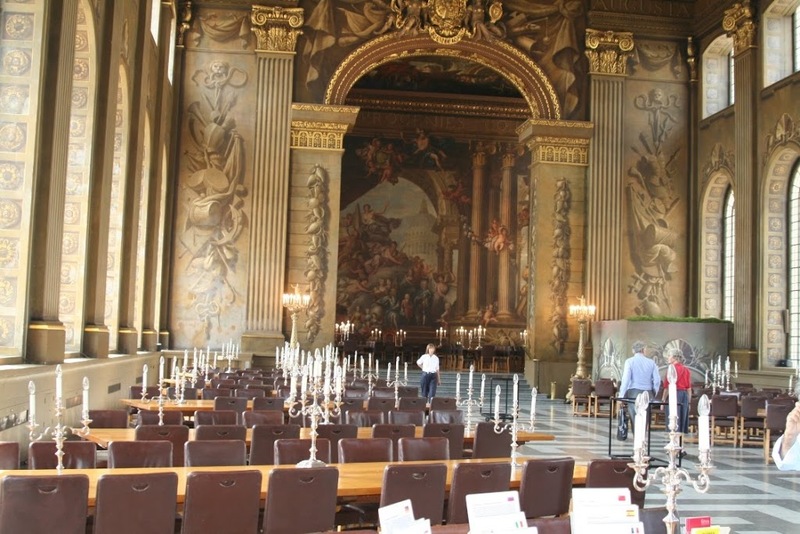 Today, apart from being used as an exhibition gallery for fine arts, it is also utilized as a venue for luxury weddings, corporate events and other private functions. Heeding to the call of my hunger pangs, I stepped into the park. I normally do not waste any time for food during such journeys. My strategy is to see as much as possible within the limited available time. It is only during dinner that I usually spend the time to relish the local delicacies of the land. I decided to sit down under the shade of a tree on the glistening royal green lawns outside the Queens House and devour the packed sandwiches and juice that I had thoughtfully carried with me. 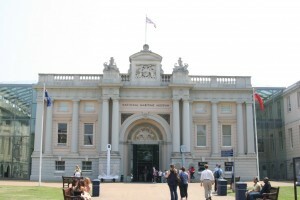 After polishing off the sandwiches and savoring the visual delights of the huge paintings inside the Queens House, I stepped in to see the Maritime Museum. Cameras were prohibited in both these buildings and hence I could only capture those sights straight into my mind. I then stepped out to see the Titanic Memorial Park. This was a narrow garden stretch along the walls of the park, filled with flowering plants previously unknown to me. 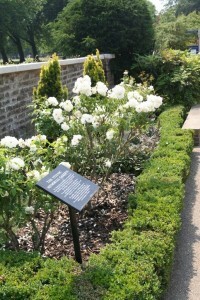 The plants belonged to the genre of memorial flowers such as the rosemary, purple sage, Irish golden dew, peace roses etc. This park was inaugurated by a 15 year old survivor, Ms. Edith Haiman to mark the 83rd anniversary of the Titanic Tragedy that occurred on April 14th 1912. It is interesting to note that that Ms.Haiman lived till her 100th year before she joined her Titanic fellow travelers in her final journey. I could see visitors playing cricket, baseball and other games on the lawns of the Greenwich Park. You can reach the Observatory Tower by walking up the slopes of the tree lined path which ran amidst the park. There was no dearth of half naked white people smeared with tan oil and sun bathing on the grass. This is summer for them, but for someone like me who is used to working in the scorching heat of the oilfields in the Gulf region, this 28 degrees temperature can never qualify for summer. 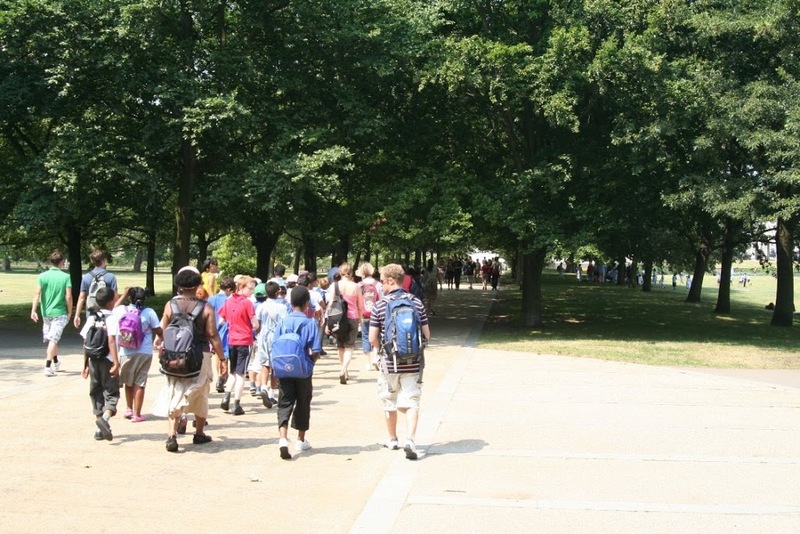 A long line of school students seemed to be moving towards the observatory tower. 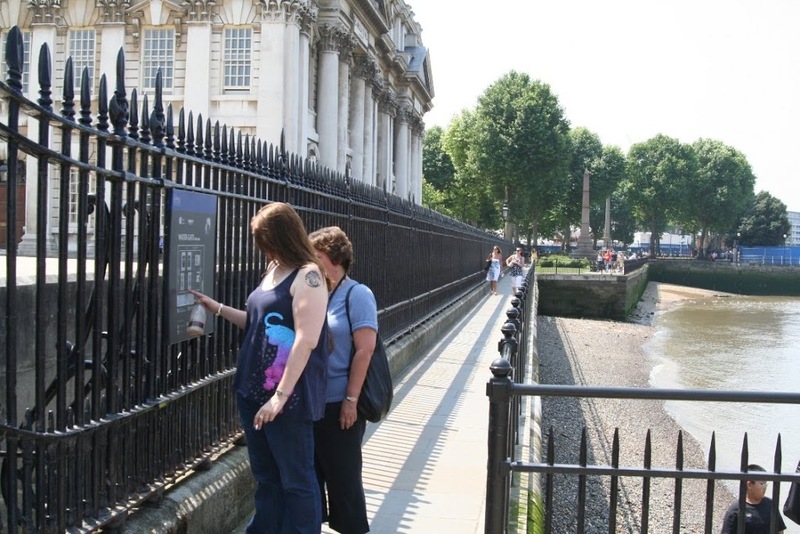 Like an obedient student, I joined the end of the queue and holding the iron railings along the pathway, I too started to ascend the small hill on which the Observatory was situated. There was a huge crowd before the Observatory Tower. 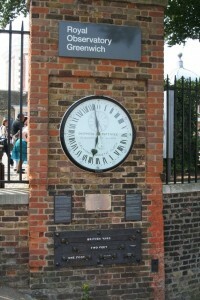 The initial sight at the entrance of the Tower was that of the 1852 circular shaped Shepherd Gate Clock with a 24 hour dial and some plaques depicting measures such as the feet, yard etc. It took me sometime to realize why the visitors were lining up even after entering inside the gate. They were not queuing to get inside the Tower. The queue was outside itself extending towards a steel structure which was in the form of an incomplete model of the globe. One by one the visitors were taking turns to stand with their legs apart on either side of the metallic strip marked on the ground below the globe tilted on its axis, shaking hands with each other and taking photographs. Suddenly the realization dawned on me! 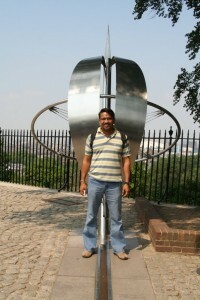 This was the Prime Meridian, the 0°0’0” longitude. The famous imaginary line has been depicted in the form of that metallic strip on the ground!!! 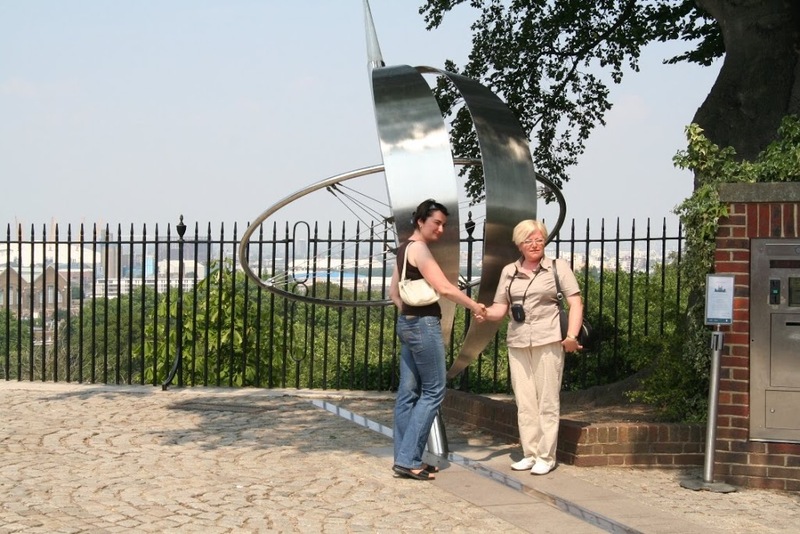 Like the equator divides the North and South, the Prime Meridian is that imaginary line which divides the East and the West. To be more precise, on one side of the metallic strip on the ground is the East and on the other side is the West. When the sun’s rays come directly over this line it is considered to be 12 noon. 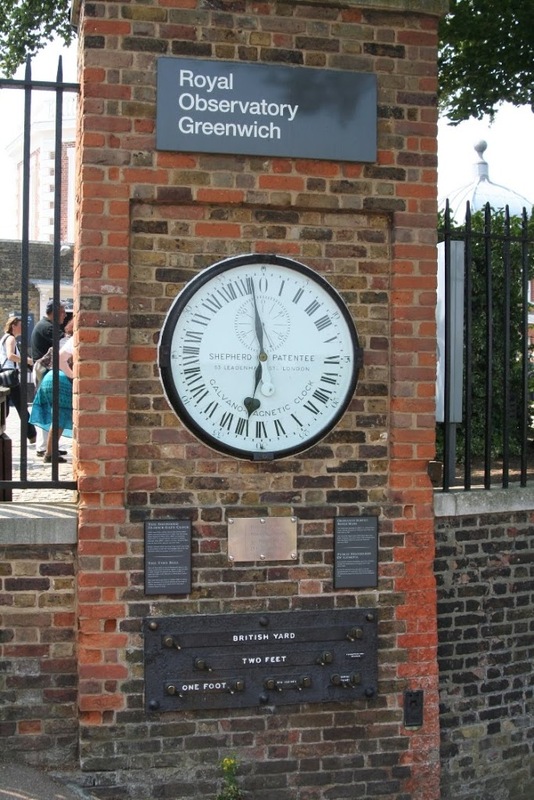 For us in India, during the summers we are 5 hours 30 minutes ahead of the Greenwich Meridian Time (GMT). 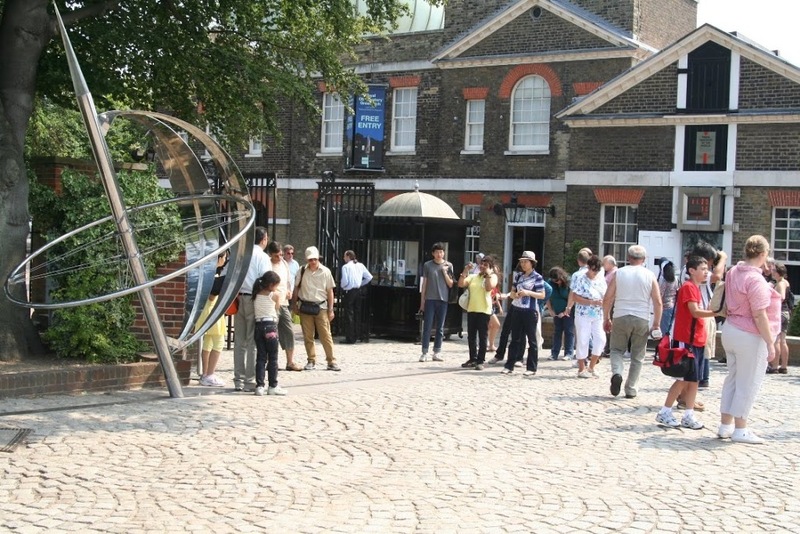 It is amusing to see the visitors standing with their legs on either side of the Meridian and clicking away. 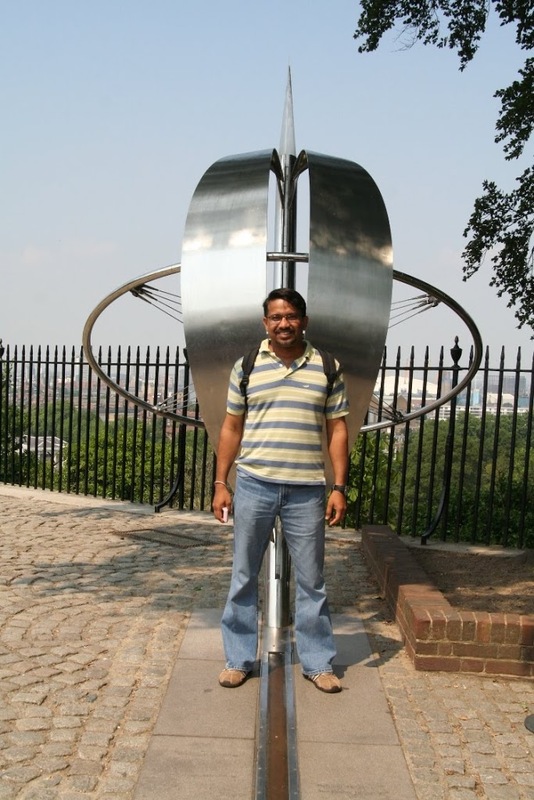 It is definitely not such a trivial matter to be able to stand over the prime meridian with one leg in the east and the other in the west!! In the night, a green laser beam light emanates from the observatory parallel to this line and cuts across the Thames falling on the city of London. If one can manage to hang around there till darkness descends, you can witness this beautiful display. 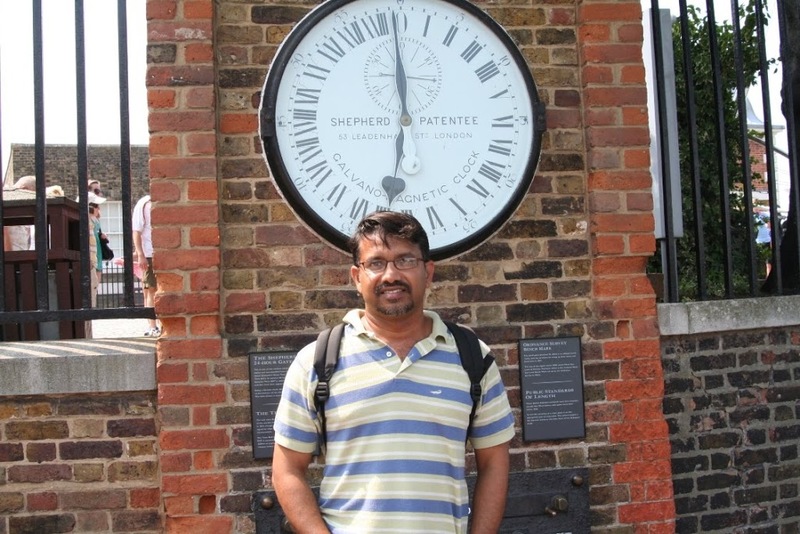 Even though the prime meridian passes through Great Britain, France, Spain, Algeria, Togo, Burkina Faso, Ghana and Antarctica, it is this spot in England which is of utmost significance. The reason for this is an ancient telescope known as the Airy Transit Circle, housed in this observatory located 154.70 feet above sea level. It was this telescope which determined the Prime Meridian from 1884 till 1920. Like many other telescopes inside the observatory, this ancient telescope is also used to determine the Prime meridian by very meticulously observing when and where the clock stars cross the North South markings on the instrument. Till the 19th century, there were various other Meridians also which were used on maps and geographical charts. 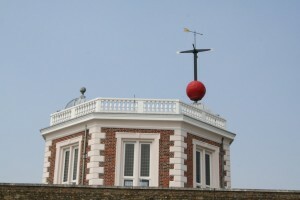 It was decided to mark all the longitudes, east and west from Greenwich following an International Conference in 1884. This instrument was constantly in use by scientists during the time and was used to make more than 600, 000 observations. This ancient grandfather telescope which is functional till date stands magnificently reminding us of its glorious yore, filling a room inside the observatory. 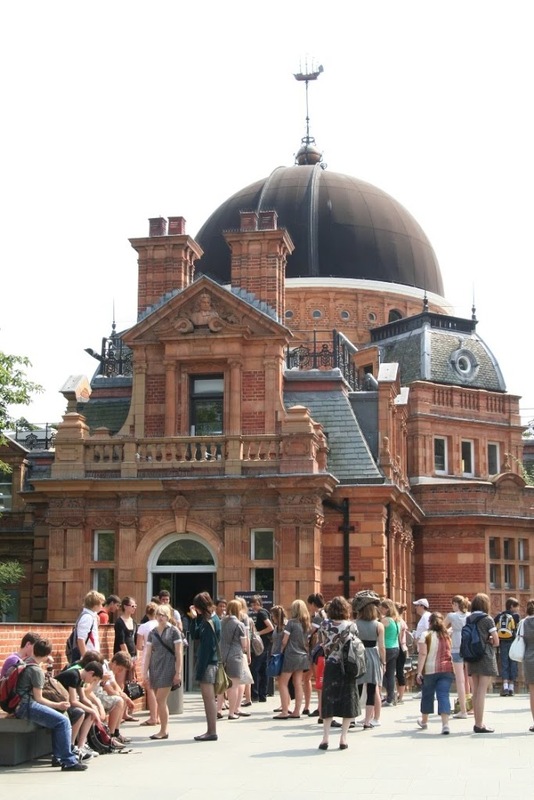 This observatory consisting of telescopes, various instruments used to conduct experiments and the museum has once been a victim of a bomb attack. This incident which hit Britain in 1894 may have been the first terror strike on Britain. Though it was proved that the 26 year old French man, Martial Bourdin was behind this attack, the motive for the attack still remains a mystery. Despite a strict warning prohibiting photography inside the tower, many visitors continued to take pictures on their cameras. Hearing the clicking sounds, an official came running to the spot and tried to prevent this. But somehow it didn’t really seem to be such a grave offence. However, I was denied sanction in spite of requesting permission to take a few pictures. In my mind, I longingly captured the forms and sizes of all those telescopes that I have never seen before and proceeded to the lower floor of the adjacent building called the Octagonal House . 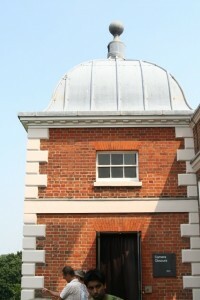 This building consisted of a museum which told the trying stories and discoveries of eminent astronomers such as John Flamsteed who at some time cooperated and some time questioned the likes of Sir Isaac Newton , succumbing to ill-health and battling the rain and shine while meticulously following the celestial bodies in the skies for the enlightenment of generations to come. Due to some strife with Isaac Newton, it was inside this very central courtyard of the building that Flamsteed who was the first British astronomer, collected and publicly burned down the copies of his own book called the Historia Coelestis Britannica What irked Flamsteed was that Isaac Newton and another colleague Edmund Halley had jointly published this book without his permission and worse still, they did not mention Flamsteed’s name on it. Why Time? Why Longitude? The museum does give some very elaborate answers supported by facts and details to these questions. The Shovell Ship tragedy was one of the main reasons for this. On October 22nd 1707, on the way from Gibraltar to Britain , the famous naval officer, Sir Clowdisley Shovell along with over 1400 fellow sailors on board the ship collided with a rocky formation near the Isle of Scilly and within minutes sank to the bottom of the sea. The main reason for this accident was attributed to the inaccuracy in determining the longitudinal angles and position of the place, as well as the ignorance of the sailors. Over time, the naval fleet of Britain, considered to be the Empire where the sun never sets expanded, leading to a situation where most of the families in Britain had one or the other members or a relative who was a sailor or a part of the Navy. Those days if a there was a ship wreck, it would only be after a few months or years that a formal intimation would reach the families. Sometimes this information may not reach them also. It was during this time that efforts were initiated by British Scientists to determine longitudes accurately and uniformly to correct the inconsistencies on the map and hence prevent such disasters. It was only then that I realized this inseparable connection between the longitudes and time. 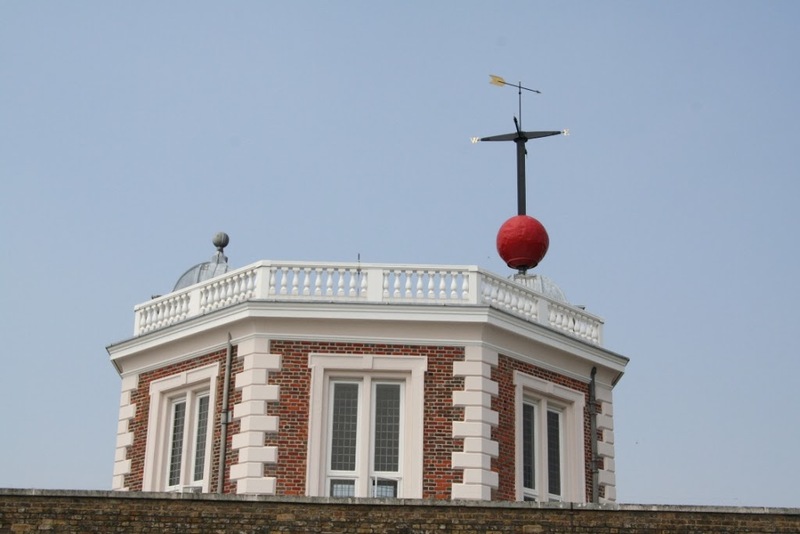 A Longitude is measured in degrees ranging from 0° at the Prime Meridian to +180° eastward and -180° westward. Each degree of longitude is further sub-divided into 60 minutes, each of which is further sub-divided into 60 seconds. Some of the rooms in the lower floor of the museum served as the dwelling of John Flamsteed for over 30 years. His possessions such as his bed, mattress, table, chair, bed chamber etc is a part of this museum now. After seeing the sights on the lower floor, moving up to the octagon room one can see the 32 inch astronomical quadrant and models of a few huge telescopes. There is a movie show every one hour in the relatively new planetarium building just behind the octagonal house. I bought a ticket worth 6 pounds and joined the crowd to see the sights of the ‘Peter Harrison Planetarium’ which was commissioned by the Queen on 22nd May 2007. The planetarium has a seating capacity of at least 200 and has a spherical overhead screen with a 360 degree view. After explaining that there is no need to switch off the mobile phones as the theatre was in a thick metallic enclosure, an official sitting amidst the audience started operating a special projector to begin the show. Leaning back and looking up, I watched the 40 minute movie ‘The Ice World’. I felt proud and pompous having had an opportunity to comprehend that the earth we live in is such a lovely blessed place within the solar system. The movie gives a great message that we are all passengers on the spacecraft called Earth voyaging through the solar system and hence it is our responsibility as voyagers to ensure that this spaceship continues its journey forward without drowning or destruction. Again, I walked towards the Hexagon building . There is a medium sized coin operated talking telescope situated there. 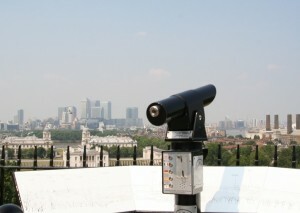 I looked through the telescope and enjoyed the splendid views in the vicinity of Greenwich. The faraway sights such as the Van borough Castle, London City Airport, Post Office Tower, Power station, One Canada Square, Millennium Dome, St. Paul’s Cathedral, Tower Bridge, NatWest Tower and all seemed to be within my arms distance. Near the telescope, I suddenly noticed a few people parting a dark curtain and entering a small isolated room. It is inside this room that the science behind the invention called Camera Obscura with which we walk around casually in our hands called the camera is revealed. The Latin term Camera Obscura means ‘Darkened Chamber’. It is the experimental knowledge that light passing through a small hole in the wall of a dark room can display the inverted image of the world outside that led to more experiments with glass pieces and lenses which lasted for centuries thus resulting in the invention of the dark room called camera which you can carry in your hands. Once my eyes got adjusted to the darkness inside the room, I was able to see a white table in the center of the room. Moving images of the colorful sights such as the Greenwich Park, Queen’s House, Maritime Museum etc that I had seen earlier through the talking telescope started to appear distinctly on the table top. At that moment, I felt as though as I was standing inside a camera. It was 5:30 in the evening when I finally stepped out of that historic dark room used by John Flamsteed to study the movements of the sun. 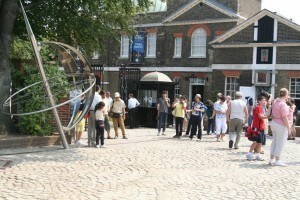 I could still see a long queue for taking photographs outside the Observatory Tower in front of the Prime Meridian! I had set off to merely see an imaginary line but I was gratified now having gained such a beautiful experiences and insights. It was now time for my return. 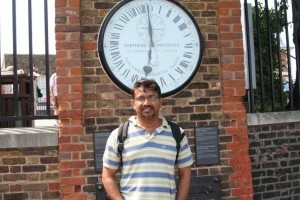 My return was not back to home but to the famous Globe Theatre which stages Shakespearean plays in London. En route to the Globe Theatre, my better half will be waiting for me with the tickets of ‘As You like It’. Holding abreast the enormous wealth I earned from the world of science and technology from atop that small hill, I walked swiftly to reach another fascinating world…. a world of fine arts. 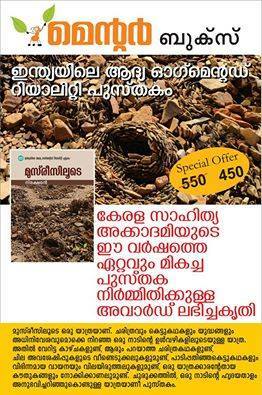 Translated by geetham. 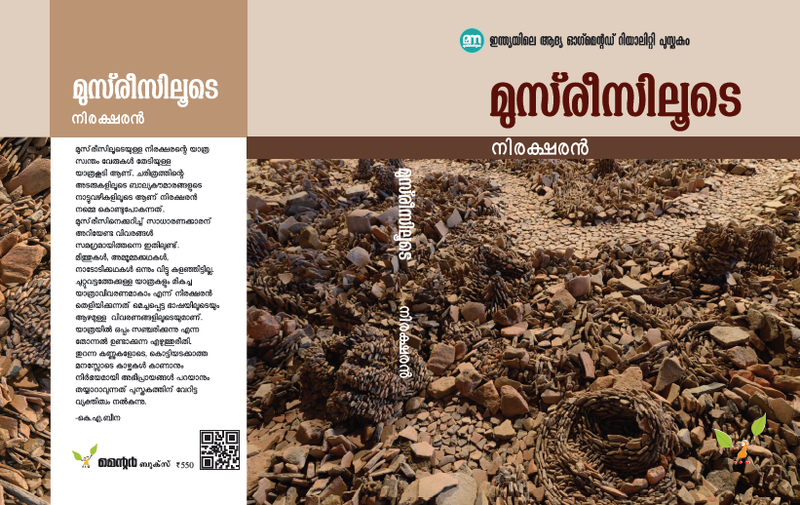 To read the Malayalam version, click here. well written…well translated…..(happy to be the ‘First’to comment in atleast one of your post…. Perhaps you would find this interesting. smoothly and well written travelogue. Great post! thank you for sharing this information.